TSP Legal > News > General News > What is “Overage”? Kerry Addison, Fellow of the Agricultural Law Association and Agriculture and Commercial Property Solicitor at Thompson Smith and Puxon discusses Overage. What is “Overage”? 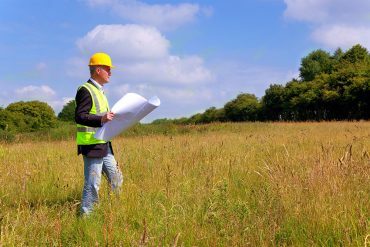 If land may have future development potential, a seller may choose to impose an arrangement as part of the sale agreement that entitles them to receive a percentage of the enhanced value if it is subsequently sold after development has happened or with the benefit of planning permission. Selling a Property which is Subject to Overage: Whether or not a payment under the overage has been triggered, if you are selling a property that is subject to overage preparation is key in order to avoid delays which may potentially put you at risk of losing your buyer. If it has expired can you get it removed from your title deeds? Who now has the benefit of the overage? The previous owner could have sold or assigned the benefit to someone else. Where are they? If you know them it may be very easy to contact them informally or it could take several weeks to track them down. Once you have contacted them they will often need to get in touch with their own solicitor, surveyor or land agent which all takes time. Make sure your buyer is made aware of the overage and the terms of it as early as possible, ideally by the selling agent before an offer is made. Selling without a new Planning Permission or if no development: You may need to provide evidence that the overage hasn’t been triggered and there are no payments due. Your buyer will typically have to enter into a Deed of Covenant with the party with the benefit of the overage, who will often be entitled (as part of the overage arrangement) to have their legal and surveyor’s fees paid in connection with this. Selling with a new Planning Permission or if development has taken place: You will have to share your windfall with the party with the benefit of the overage. In this case it will help to have an idea of the amount to be paid before you contact them, and this figure can also be taken into account when considering offers on the property from potential buyers. Make sure you understand exactly how to calculate what is due and what deductions may be taken. You also need to check when any sums due have to be agreed and paid as overage arrangements can vary widely. If the provisions of the overage arrangement are in any way unclear or uncertain you will need to discuss this with your solicitor and, if recommended, obtain opinion from a Barrister so that you know your negotiating position before you contact the other party. Involve your land agent in negotiations at an early stage. In both cases you may have to obtain a current valuation of your property. Selling a Residential Property: You will need to check the terms of the overage provisions very carefully. Overage provisions imposed some years ago are often no longer acceptable to many residential mortgagees and they may need to be removed or varied before any buyer will be able to obtain a mortgage and proceed with a purchase. In Summary: Taking these steps as early in the transaction as possible and being armed with full information will make the sale process much smoother.